Every season, the Illinois Philharmonic Orchestra’s Board of Directors presents the Ruth D. and Ken M. Davee Excellence in the Arts Award to honor an individual, group of individuals or organization whose exceptional commitment, vision, leadership and achievements have resulted in major contributions to the arts and music. This award is the most prestigious given by the orchestra. Ruth Davee was a long time benefactor of the IPO. Mrs. Davee enjoyed a wonderfully close relationship with the orchestra over the years. The IPO is pleased to honor other dedicated arts supporters with the Ruth D. and Ken M. Davee Excellence in the Arts Award. Viola Ruth Dunbar was born in West Chicago, Illinois to George W. and Martha (nee Brown) Dunbar. She had one older sister, Evelyn Dunbar. She attended the University of Illinois at Chicago (UIC) for her first two years of college, graduating in 1935 from the University of Illinois in Champaign. In 1942, she received her Ph.D. in English Literature from Northwestern University. Her dissertation was on Henry James. Her first job was spending a year at the University of Colorado as an instructor of Bibliography. During the war years, she was a teacher at the Polytechnic Institute (later InterAmerican University) in Puerto Rico, where she taught English as a second language. Along with Rachel Palmer, Head of the English Department at the Polytechnic Institute, she co-authored a text book entitled Remedial English for Spanish Speaking Students. It was a standard text book in classrooms for many years. She taught at the Polytechnic Institute for three years. Ruth then taught at Whitman College in Walla Walla, WA for one year, three years at Wayne State University, in Detroit, Michigan, and, finally, Ruth taught for one year at Western Reserve University in Cleveland, Ohio. Leaving the classroom, Ruth took a job at the Sun-Times Newspaper in Chicago, Illinois, originating the position of Education Editor. She was at the Sun-Times for 19 years, leaving in 1969. While at the Sun-Times, she took a trip to Russia on an educational tour. This was during the Sputnik years, when there was a great deal of interest in the United States in the Russian education system. The articles from that trip were later published in a separate book. It was for her by-line at the Sun-Times that Ruth stopped using her first name, Viola, and just went by Ruth Dunbar. Also while at the Sun-Times, Ruth, along with a co-worker, Ruth Garby, wrote the food column under the name “Terry Hunter.” The column ran for many years, with various people writing under the Terry Hunter name. Ruth then worked for three years as an Assistant Director of the Department of Education for the State of Illinois in Chicago. She was in charge of the Title One program in the Chicago area. After retiring, Ruth did consulting work in writing, including a book on Egyptology for the University of Chicago. Ruth married Ken M. Davee in 1989. 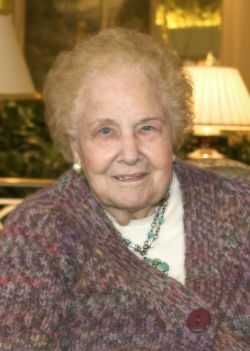 Ruth was a major philanthropist in the Chicago area for many years, and was President of The Davee Foundation from 1998 until her death in 2011. Copyright © Illinois Philharmonic Orchestra. All Rights Reserved.